One of the most common soft tissue surgeries, spay and neuter procedures are the best way to prevent animal overpopulation. Spaying and neutering also helps reduce (and sometimes eliminate) certain types of cancers in dogs and cats. 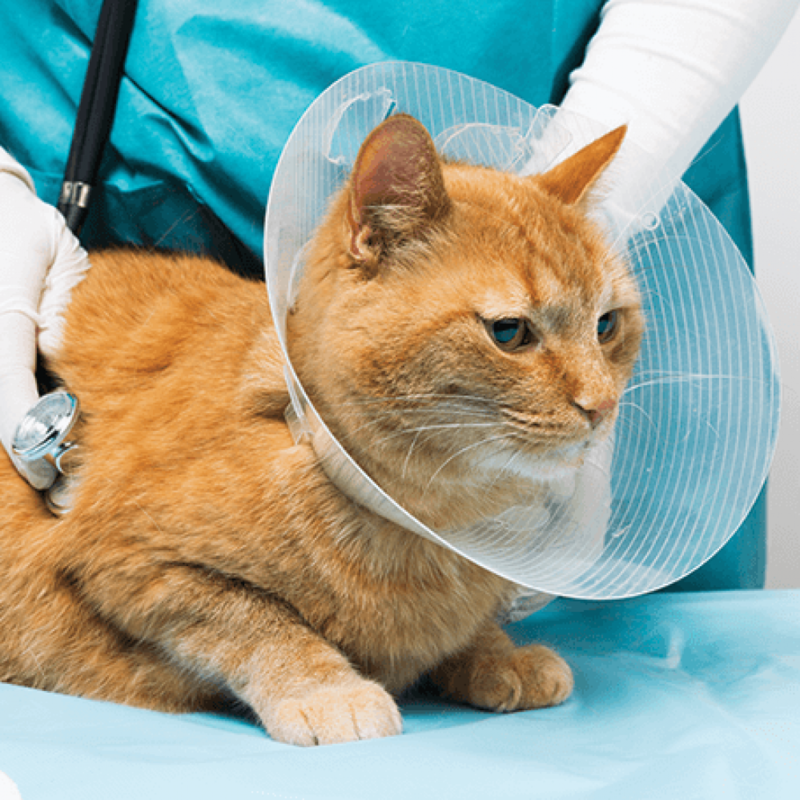 We work with every pet owner to determine the best time for an animal’s spay or neuter surgery. Our goal is to make sure you feel comfortable and empowered to make informed decisions about your pet’s healthcare, providing any information you might need and answering any questions you may have along the way. Our skilled hospital team combines their decades of experience along with their compassion for all animals to provide you with care that goes above and beyond your expectations. Our animal hospital uses safe and progressive anesthetic protocols to maintain your pet’s safety during the spay or neuter procedure. This allows us to perform careful and thorough anesthetic monitoring. Before the surgery, we’ll run age-appropriate tests to make sure your pet is in general good health and able to be safely sedated. During the procedure, we carefully monitor their vital signs for any changes and make adjustments as necessary. Once we’re all done, your pet will wake up and recover with compassionate and skilled care from our veterinary team before we send them on home with you. Our clinic offers a range of post-surgery therapeutic treatments to help with the healing process, including laser therapy at the incision site and a fully-stocked pharmacy for pain management.